Maximise your budget with our entry-level display solutions that pack in essential features and more. 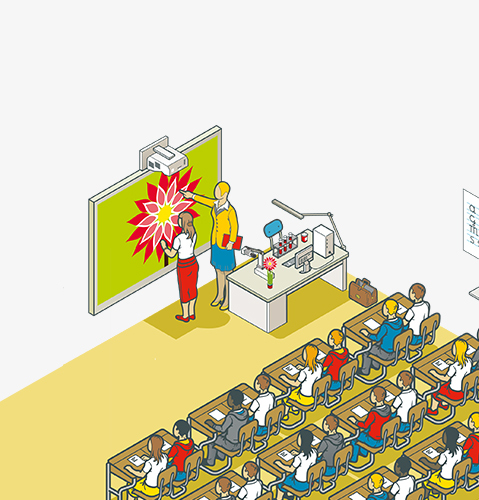 Whether you're presenting to a client or trying to engage a classroom, you need a reliable projector that will deliver an attention grabbing display with minimal fuss. Excellent for refurbishments, these compact display solutions can easily replace lamp-based models. 20,000 hours of maintenance-free operation - easy to install - simple connectivity. Get the best possible picture every time. The series uses 3LCD laser technology which offers pin-sharp image quality and equally high White and Colour Light Output for bright images and vivid colours. Light enough for one person to pick up and install. 360 degree positioning and projection with scalable display: from 50 inches to 500 inches. A five-year, 12,000-hour warranty, combined with 20,000 hours of maintenance-free operation means these projectors can be installed and almost forgotten about. There's a model for every budget level: specifications range from basic entry-level to highly-specified models, offering features such as HDBaseT connectivity, screen mirroring and lens shift. Take advantage of handy connectivity features, including HDBaseT for straightforward wired connection over a single cable, plus HDMI and screen mirroring. Flexible connectivity options including HDMI and HDBaseT. (HDBaseT not available on EB-L400U). Deliver bigger and brighter presentations thanks to our range of laser projectors. Create a professional environment for colleagues and clients alike with this bright, colourful and sharp laser projector. These display solutions are compact and can be placed horizontally or vertically, plus lens shift means you don’t need to manually adjust the projector to position the projected display. Additionally, select a model with HDMI and HDBaseT for a straightforward connection over a single cable. Make the most of your budget - get laser performance with fit and forget reliability without paying a premium. Make the most of your budget - get laser performance and reliability without paying a premium. 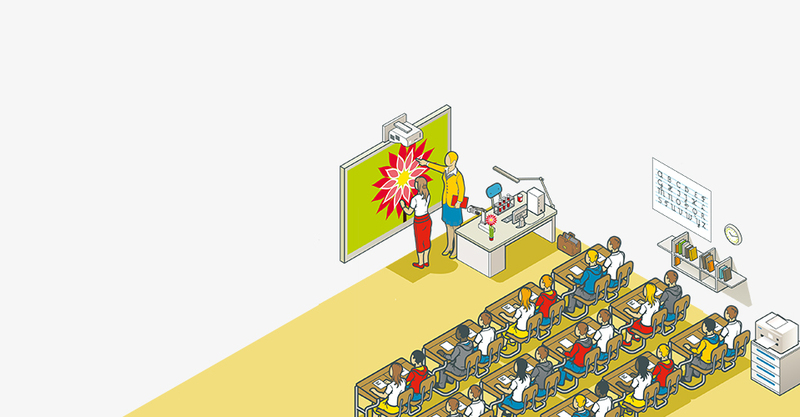 With this bright, colourful and sharp display solution, you’ll be able to capture your students' attention to help them absorb everything you have to share. When time constraints and schedules don’t allow for a complicated installation, these compact and lightweight projectors make the process fuss-free. And with a five-year, 12,000-hour guarantee, you can be certain that you’ll be able to fit and forget these projectors. 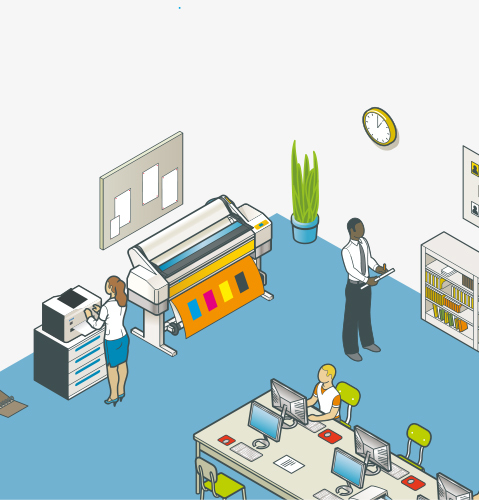 Your success in the changing world of visual communications means displaying brighter, bolder, more creative images in everyday working environments. That’s why we work so hard to develop innovative, versatile display solutions that push presenting to the next level. Place the projector in any position without making any sacrifices. Landscape or portrait - it's your choice. Additionally, with lens shift you can adjust the projected display. There's a model to suit your specific needs, budget and environment with a brightness ranging from 4,500-6,000 lumens. Take advantage of handy connectivity features including HDBaseT for straightforward wired connection over a single cable, plus HDMI, wireless screen mirroring and USB for content playback. Transform the way your audiences look at corporate and higher education presenting, visitor attractions, museums and galleries and stunning digital signage at shopping centres, sports events and more. Our new laser display solutions prove that we never stop taking the world of presenting forwards. 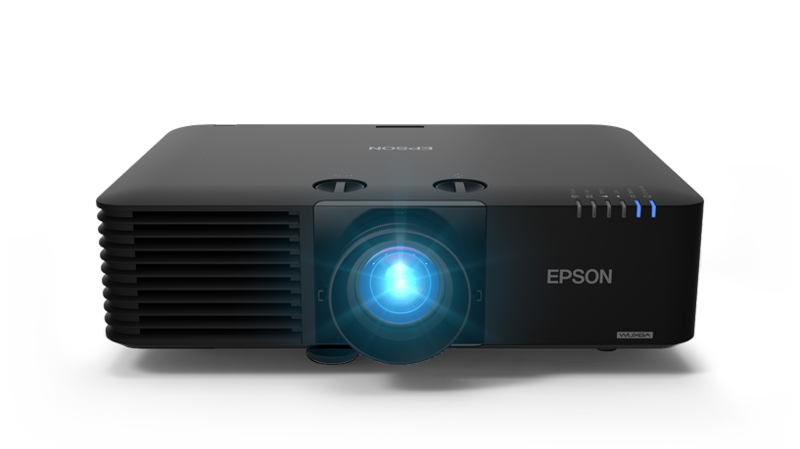 Our standard warranties are another point of difference between Epson and other projector manufacturers, covering you for an extensive five years or 12,000 hours of use, whichever comes first. For more information on the laser projector range, simply fill in your details below and an Epson representative will be in touch. 1 Survey conducted by Futuresource Consulting Limited for the period from 2001 to 2015. 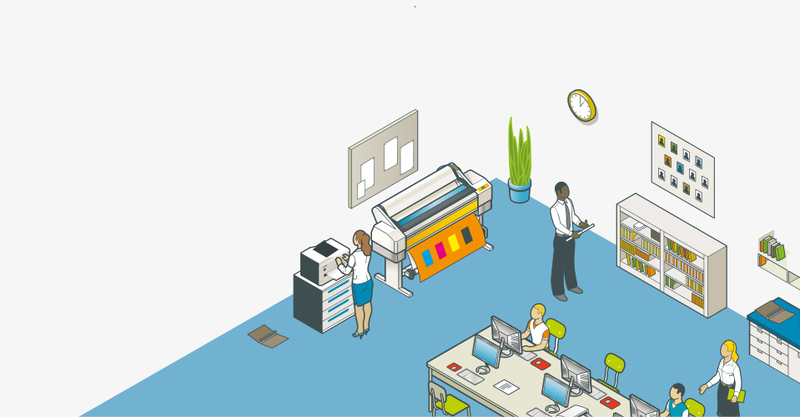 Epson is committed to protecting your personal information and respecting your privacy. To understand more about the personal data we collect from our website you can read our privacy information statement. You will be redirected to our technical form in 5 seconds. Pöördumine * -- Härra Mrs. Ms. I have read and agree to the Kasutustingimused I confirm I am over 16 years of age. For more information on how Epson treats your personal data, please read our Privacy Information Statement. Kui soovite registreeruda Epsoni partnerina, klõpsake palun siit: Te ei ole veel Epson partner? Lisateabe saamiseks klõpsake siin.